A short time after the organization of the Post it was found out Avis Comer, of Shenandoah, and Melvin Jones, of Stanley, had been listed as losing their lives in the war zone prior to Baker and Higgs. In December 1944, the Post was officially named “Comer-Jones”. The “Baker-Higgs”name was only tentative. 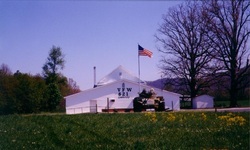 The local VFW Post elected the following officers to head the organization for its first year: Elwood L. Moses, then Luray Police Chief, Commander; Wilber L Crider, of Shenandoah, Senior Vice commander; Robert L. Sampsell, Luray, Junior Vice Commander; W. Henry Huffman, Luray, Adjutant-Quartermaster; Walter N. Broyles, Stanley, Post Advocate and Guard; Richard G. Hopper, Luray, Chaplain and Officer of the day; R. H. Llewellyn, Broadway, Surgeon; Trustees: (18 months) James E. Ellis, New Market; (12 months) Fred A. Keyser, Stanley; and (6 months) Ray F. Bailey, Rileyville. The obligation of the order was given to all members, and officers were elected and appointed to serve until April, 1945. Each member was urged to recruit one or more members before the next meeting. The Charter was to remain open for a period of ninety days in order that all who would join in that period would go in as charter members. W.I. Woodell, Department Adjutant-Quartermaster, Staunton, assisted by R. H.
​The Comer –Jones Post 621 was organized October 24, 1944, and was named for the first two veterans officially declared dead by the War Department. 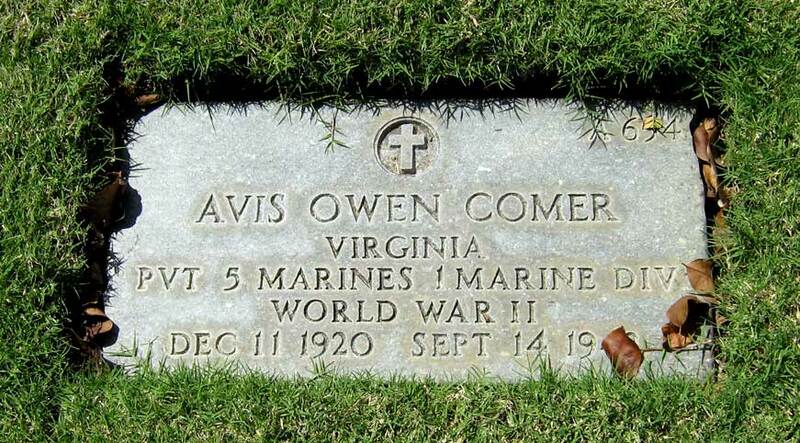 Avis Owen Comer, of Shenandoah, who was killed on Guadalcanal September 14, 1942, and Melvin Lafayette Jones, of Stanley, who died of wounds received in active naval duty on the USS Jacob Jones February 28, 1942. 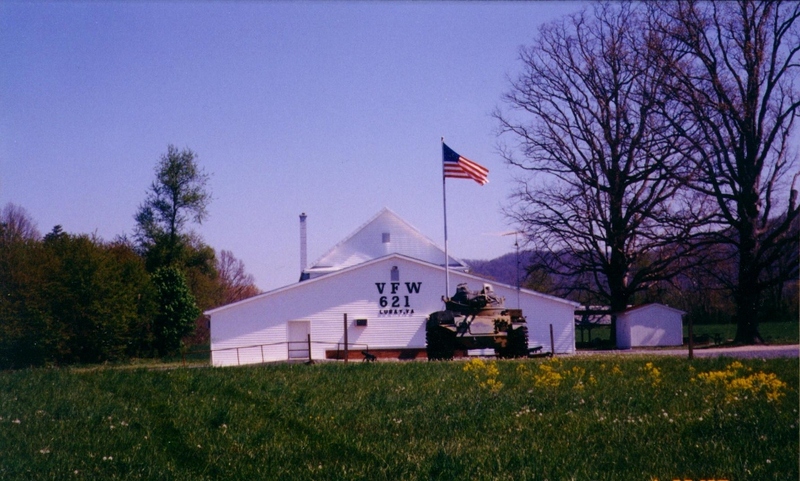 VFW members, with a larger loan of $2850 and funds from the treasury was used to remodel and enlarge the building. In addition to laying a new Oak floor and painting and decorating the main auditorium, there was also added to the building a kitchen, two rest rooms and a pantry with basement under the new addition. and is used by the VFW Post as well as the Auxiliary for their meetings. It is also used for dances. The Auxiliary planned the decorations and color scheme. The kitchen fixtures, range, refrigerator, sink, cabinet, plastic title floor, etc. were also furnished by the Auxiliary.